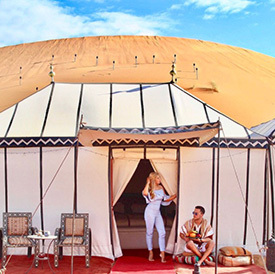 Private Marrakech desert tours are services dedicated to tourists who want to discover the harmony of the Moroccan desert with total freedom in itinerary and travel time. 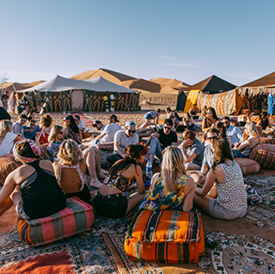 Our Private Marrakech desert tours will be on your terms and can be as energetic or relaxed as you want, with a selection of either camps or lodges to stay on throughout the length of the tour. Don’t let the word ‘trek’ lead you into thinking that it will be hard work! 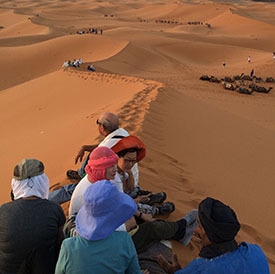 Our Private Sahara tours from Marrakech can offer you an unforgettable adventure throughout its myriad of landscapes with lush green valleys, ancient oases, majestic mountains, and awesome gorges. 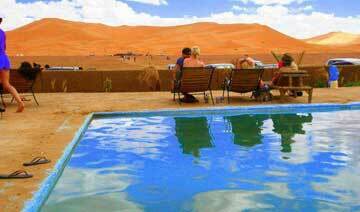 Trek or drive by amazing Kasbahs, authentic villages and venture into the wonderful dunes of the Sahara desert. 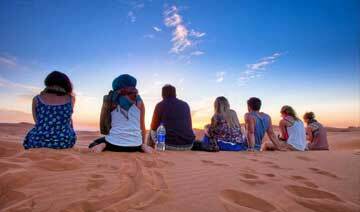 Discover Moroccan Sahara in an exclusive way and to your total suitability. We provide you with a vehicle adapted among persons which accompanies you, a driver/guide or a driver and a French-speaking guide / experimented English speaker and you choose your route and the type of hotels which you wish. 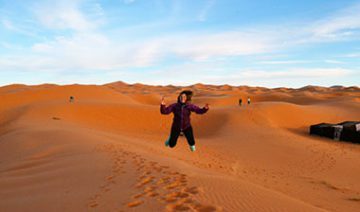 Our specialist of private Marrakech desert tours will make one will make communicate you a proposition as soon as possible. We rise in the morning and head out from Marrakech winding through the Atlas Mountains in a scenic route into the Sahara. Later we stretch a little at Ait Haddou Kasbah a riveting 16th-century fortress the very place where Gladiator and Laurence of Arabia were filmed. Merzouga is where the big dunes are. And here you might even take in a Berber wedding. Also, we take you to a home cooked tagine meal where you may feast in a home with a family in the village. 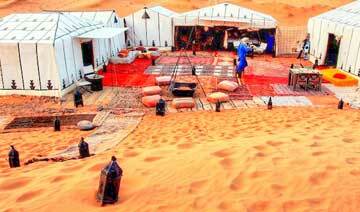 After riding along a camel caravan you sleep in a desert tent. 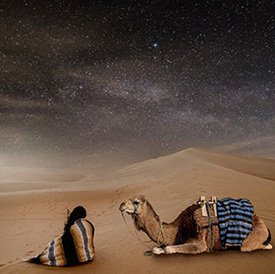 Here you sense the desert calling you into its harsh and powerful quiet space. We take our time in the desert. It is a great time to relax…and reflect. 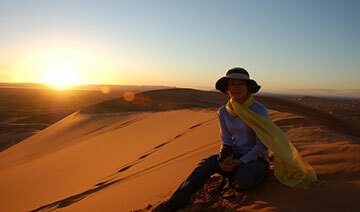 So don’t leave your private Marrakech desert tours to chance, get it – guaranteed! * Clients in charge of Music (if any) and music levels in the vehicle. *1 hour in Ouarzazate, Zagora, Todra Gorge, and Merzouga.